this sounds like a delish brekkie/brunch — hangover or not! nice touch with playlist. great song. i like to rock out to music in the kitchen when i’m cooking as well! It just works, doesn’t it? Thanks for stopping by and commenting. I’ve never heard of this before, but I will comment with Spanish and UK friends and someone may give it a go. 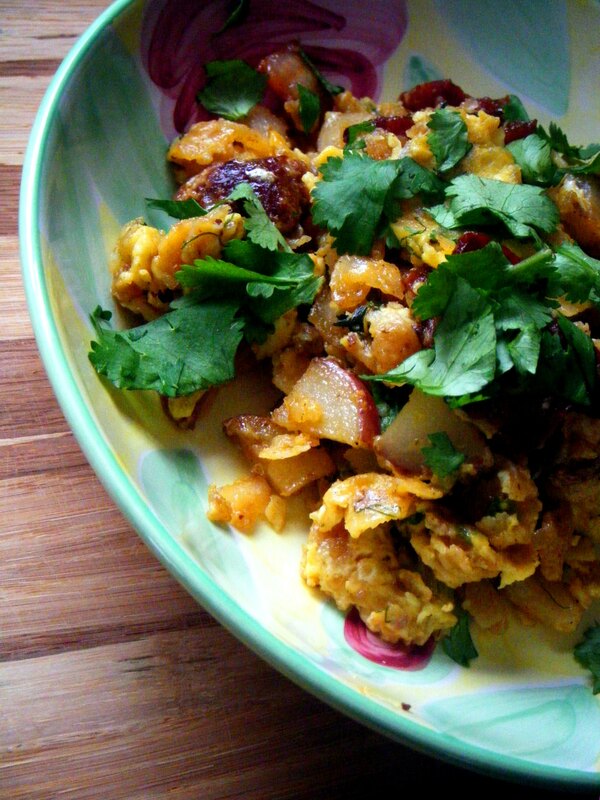 Chorizo tastes great with so many dishes that I am sure this recipe will be fabulous. If you have problems finding a good chorizo drop me a message and I will try to help. Thanks! I’d love to have a good hook up for chorizo! Thanks for stopping in and commenting. Keep in touch.